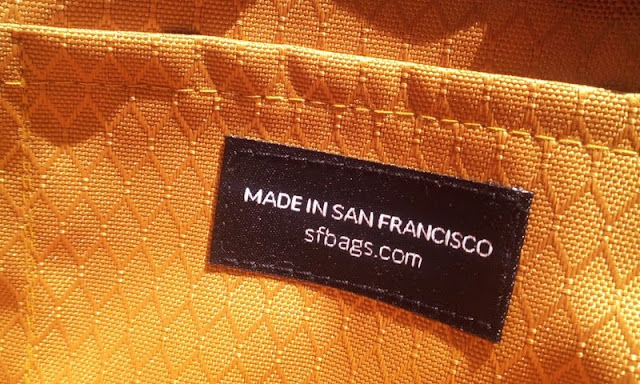 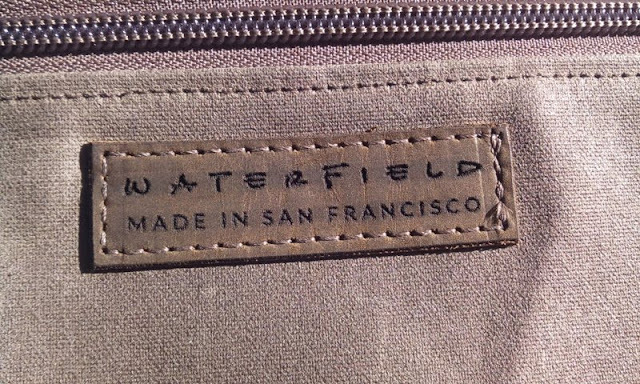 Handcrafted SFBags WaterField Gear Pouch Perfect For Tech Accessories and Travel Docs! 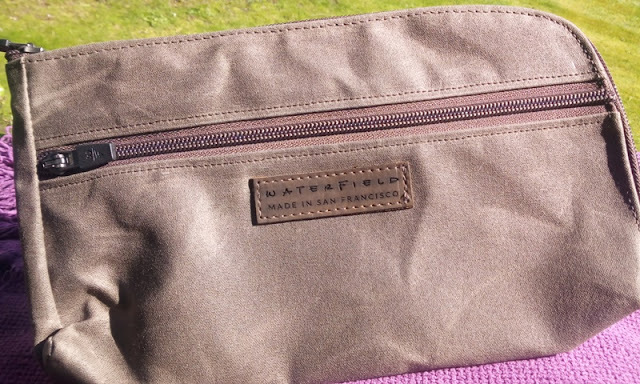 If you are looking for a thin, lightweight and versatile accessory pouch to keep your personal gear, travel documents or tech accessories, check out the Duo Dopp Kit and Gear Pouch by WaterField Designs! 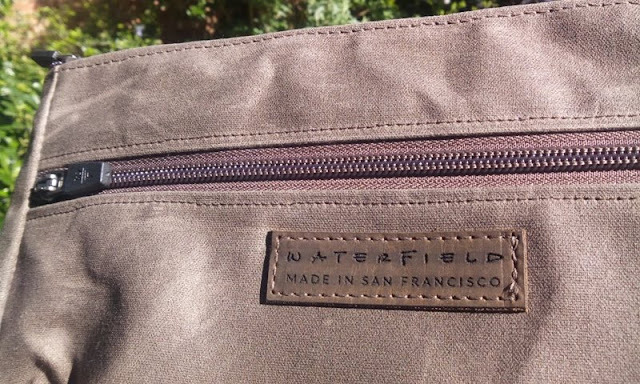 The WaterField Gear Pouch is manufactured skillfully by hand in San Francisco and it is made of water proof wax canvas exterior that features a main compartment and a front side pocket both secured by folding down the self-locking zipper, which doesn't come undone so the gear stays secured inside. 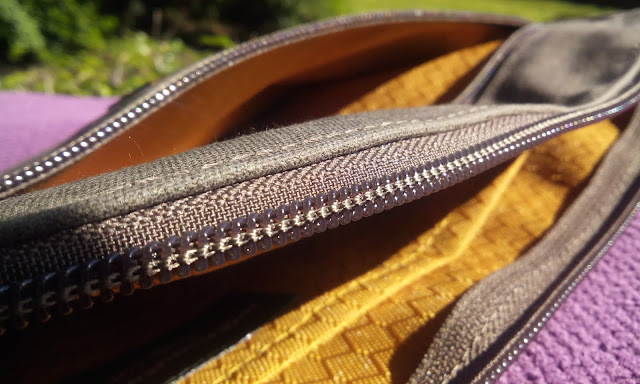 The ripstop gold liner inside the pouch is water proof and has built in pockets to keep the gear separate. 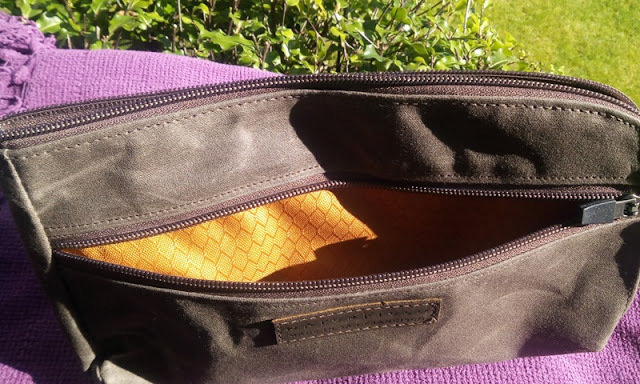 The Gear Pouch is a handy accessory pouch with multiple organizational pockets, great for organizing things that you might otherwise forget. 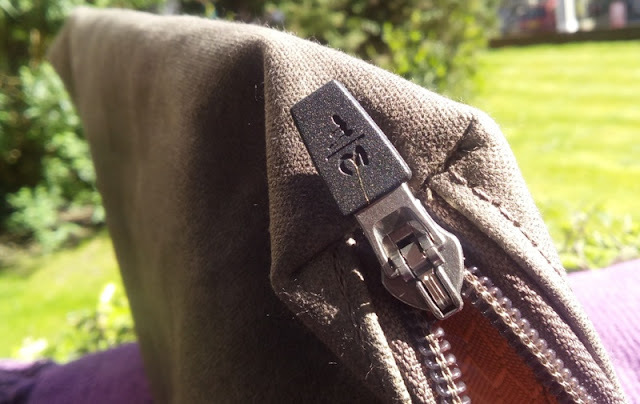 The WaterField Gear Pouch uses YKK locking zippers so when you flick down the zipper the stuff inside it won't fall out. 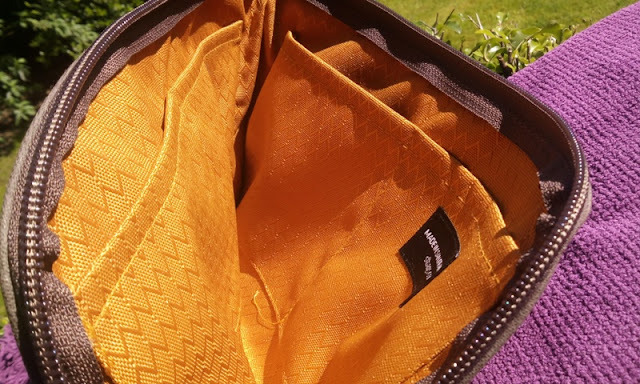 The pouch can hold quite a bit of gear, which is great for carrying your tech accessories, travel documents, home/car keys, sunglasses, smartphone, etc.